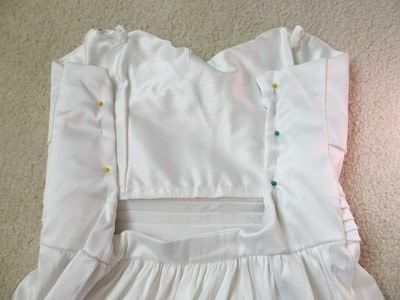 Cut off the zipper of your dress so you have a big space in the back. 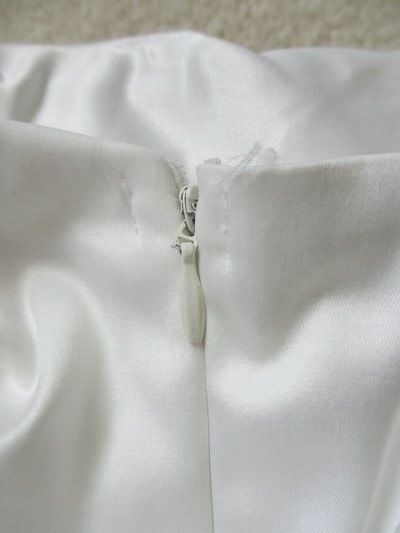 Don't discard the extra fabric, you will be using it later. 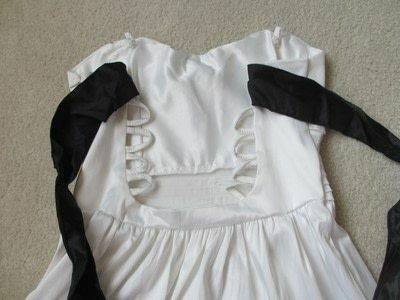 Using the extra fabric, cut small strips and sew loops along the sides. At the top, cut long strips of the black satin fabric and sew it on. Lace up the dress like you would with shoelaces and tie a pretty bow. That looks so nice. Someone recently explained an alteration that would work like this to add space in a dress that was tight at the bustline. 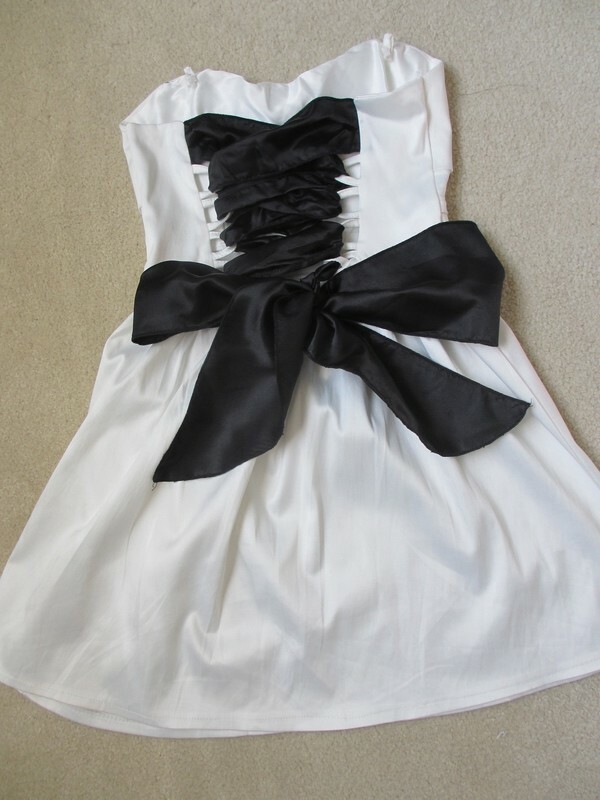 This looks beautiful and versitile! I'd make a dress just to do this to the back! 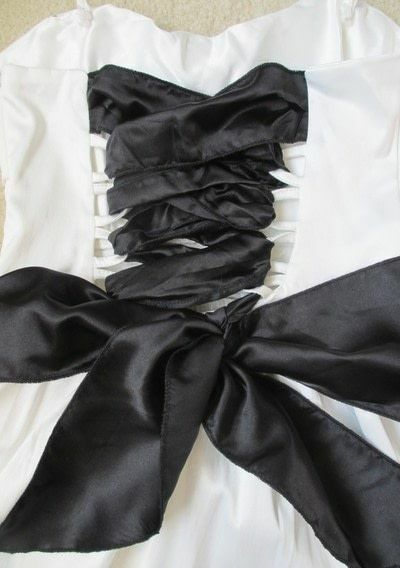 And love the thick voluminous ribbon you've chosen, definitely adds something to the dress. This looks so beautiful. I can't wait to try it! so creative! I can't wait to do this! 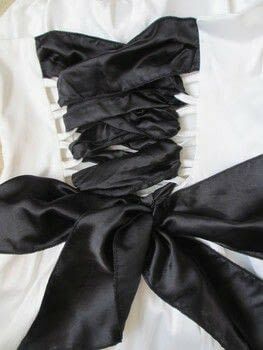 Using a pretty colored ribbon would work too, instead of the black satin fabric! 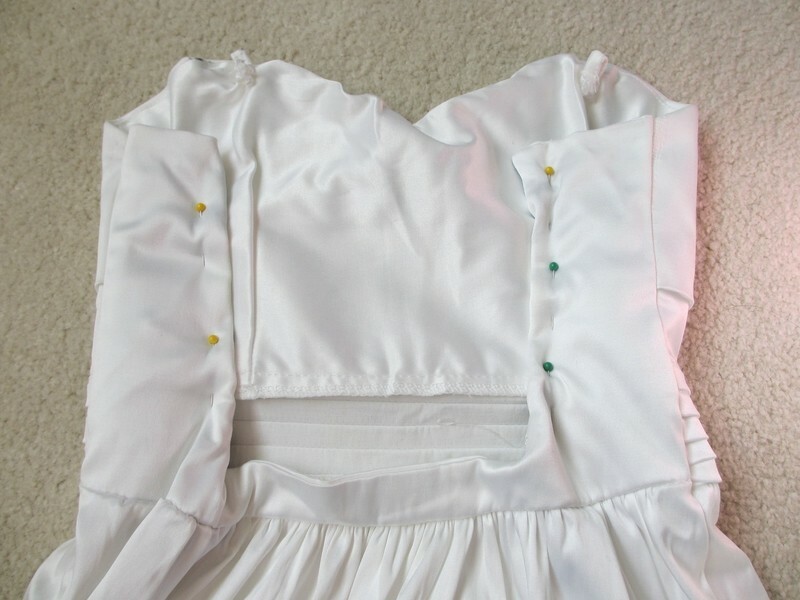 I really like that you used loops instead of button holes/gromets/just making holes. I think it adds extra character.